The Cold Harbor battlefield. Courtesy of the Library of Congress. In only an hour, Lee’s entrenched veterans had repulsed the Union attack. Some Federal units, realizing the futility of the charge, never advanced. Around 6:30, Maj. Gens. Ambrose Burnside and Governeur Warren advanced against the Confederate left, now situated just above Bethesda Church. Their attack met with relatively the same fate as their comrades and were turned back. Efforts by George Meade to renew the assault were futile and early in the afternoon, all Union offensive operations were suspended. The attack had been an abject failure and it cast a long shadow onto the shoulders of Lieut. Gen. U.S. Grant, a shadow that still persists 150 years later. Perhaps one of the most pervading aspects of the assault is that it was based in hope and ended in disappointment. Even today, we can approach situations with the utmost optimism, only to see our expectations terribly dashed. This is what happened to Grant at Cold Harbor. Grant’s idea that the assault would succeed was based upon a logical rationalization after a thorough analysis of the events swirling around him. Over the course of the last week, Grant had become convinced and even informed Washington as such, that Lee was “whipped”. 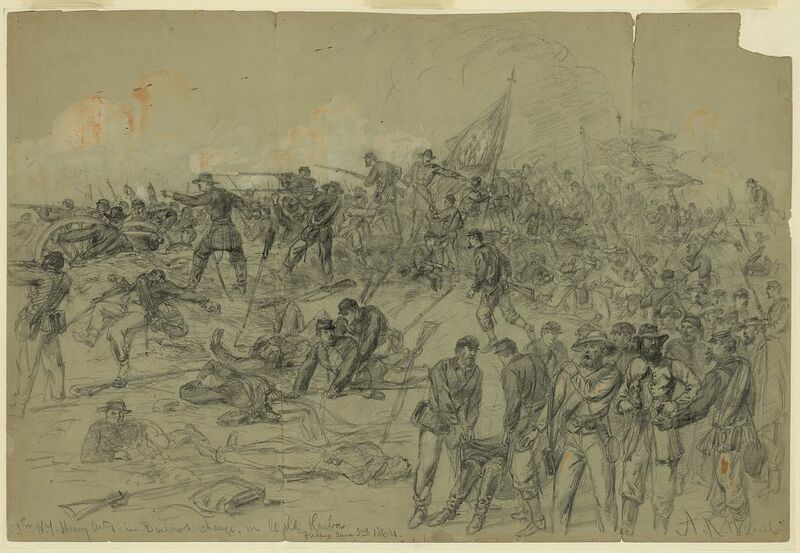 While the fighting along Totopotomoy Creek was inconclusive, the Federals had scored resounding victories at Haw’s Shop, Bethesda Church, Matadequin Creek and again on June 1 by holding the Cold Harbor crossroads. Two days previous, Smith and Wright’s infantry had been able to capture the first line of Rebel works during their evening assault. This fact was probably enough to tip the balance in Grant’s mind to launch the assault on June 3. After the war, Grant would famously write “I have always regretted that the last assault at Cold Harbor was ever made…At Cold Harbor, no advantage whatever was gained to compensate for the heavy loss we sustained”. This statement, along with the casualty estimates on June 3 have continued to cast a pall over Grant. Many place this number at 7,000. Others maintain that these casualties were suffered in the first seven to thirty minutes of the attack. In reality, we will probably never know exactly how many Federal infantrymen fell that morning. The 7,000 figure more closely resembles losses suffered on both June 1 and June 3. In actuality, the Federals probably suffered around 4,000 casualties on June 3. 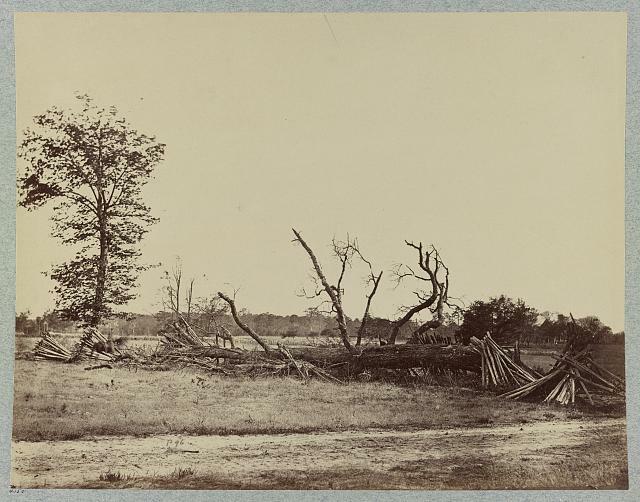 Though relatively forgotten today, the 7th New York Heavy Artillery, along with the 5th New Hampshire made the only breach in the Confederate lines on June 3. The loss of key officers at the time of the breakthrough prevented the Yankees from exploiting the breach. Courtesy of the Library of Congress. This number is much lower than some of the other, famous assaults of the war. Ambrose Burnside lost around 8,000 soldiers in front of Marye’s Heights at Fredericksburg and both Robert E. Lee and John Bell Hood suffered more than 6,000 casualties during Pickett’s Charge and at Franklin, respectively. Still, the image of “Grant the Butcher” has endured. Although it can be argued that the decision to attack was a mistake, the Federals were exhausted and the Confederates were well entrenched, Ulysses S. Grant has come to be viewed through the lens of Cold Harbor. Forgotten are his triumphs at Fts. Henry and Donelson in February 1862, when he kicked open the Confederacy’s western door and the pathway to Tennessee. Also gone is the execution of his brilliant strategy during the Vicksburg Campaign and the defense of Chattanooga in 1863. Viewing Grant today should be through the entire spectrum, not just a few hours on June 3, 1864. Nor at the same time should Grant be placed on a pedestal, but seen as a man with human flaws. 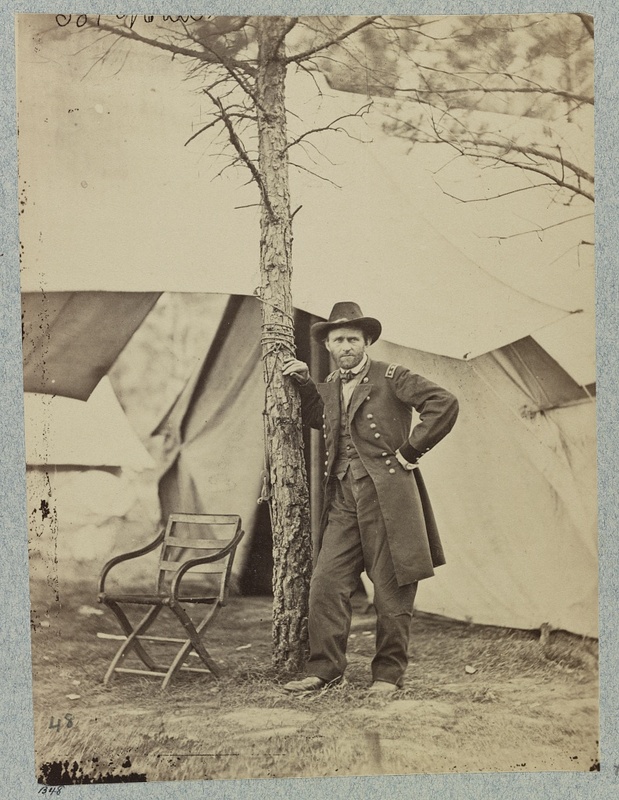 One of the most enduring images of Grant, which was taken at Cold Harbor. Courtesy of the Library of Congress. This entry was posted in Armies, Battlefields & Historic Places, Battles, Campaigns, Civil War Events, Leadership--Federal, Memory, Personalities and tagged Abraham Lincoln, Ambrose Burnside, Battle of Franklin, Battle of Fredericksburg, Battle of Gettysburg, Bethesda Church, casualties, Ft. Donelson, Ft. Henry, George Meade, Governeur Warren, Haw's Shop, Horace Porter, II Corps, John Bell Hood, Marye's Heights, Matadequin Creek, Old Cold Harbor, Pickett's Charge, Robert E. Lee, Totopotomoy Creek, U.S. Grant, VI Corps, XVIII Corps. Bookmark the permalink.